If emergencies made appointments, when would you schedule yours? Somewhere between now and NEVER sounds about right. 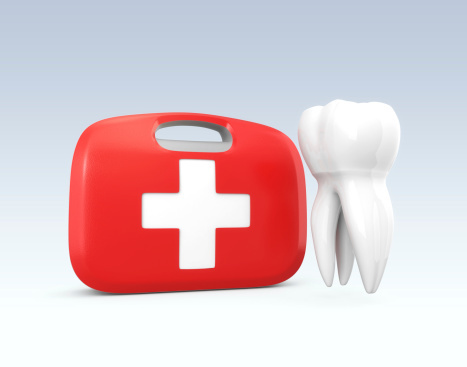 All of us at emergency dentist Premier Walk-in Dental would be delighted if dental emergencies just didn’t happen. But like all emergencies, they do happen and they are always unexpected, startling and inconvenient. That’s why Drs. Nichols and Collins conveniently offer same day emergency dental care for when you or a loved one needs to be treated urgently. At Premier Walk-in Dental, we welcome patients from Rockledge, FL, as well as Cocoa, Satellite Beach, Vierra, Merritt Island and Suntree. One of the primary indicators of a dental emergency is, unfortunately, pain. If you’re experiencing tooth or mouth pain, then it’s important to find out what is causing the pain. That pain is a signal from your body that something is wrong. Sometimes the source of the pain is obvious, such as when a tooth is dislodged or even knocked out. However, there are other instances when the reason for your pain cannot be seen, like when a tooth is infected. In either case, you need to be seen as quickly as possible for evaluation and treatment. There are toothaches and then there are toothaches. If a toothache is not severe, then you may have something caught between two teeth. Try flossing around the tooth that is giving you trouble to see if that relieves the pain. On the other hand, a severe toothache may indicate that you have an infected tooth or an abscessed tooth. An infected tooth may need root canal therapy to remove the infection and accompanying debris from the interior of the tooth. An abscessed tooth has infection at the tip of the root or between the gum and the root. In both cases, the pain can be severe and emergency treatment is critical to prevent the spread of infection. If you are dealing with a knocked out tooth—your or someone else’s—then getting to Premier Walk-in Dental as quickly as possible is imperative. If you have the tooth, then the difference between saving and losing the tooth can be only 30 minutes. Be sure to touch only the crown of the tooth and avoid the root and any attached tissue. If you can, rinse the tooth in water and place it back in its socket. If this is not possible, then store the tooth in a sealed container that is filled with milk or water and a pinch of salt. This will help preserve the tooth. If you can, call Premier Walk-in Dental at (321) 631-4334 to let us know you’re on the way. But if you can’t, then as the name of our practice suggests, please just walk-in for urgent care. We welcome patients from Rockledge, FL, as well as Cocoa, Satellite Beach, Vierra, Merritt Island and Suntree.